Reliable NetEnt casino with three licences, dedicated to provide an exciting experience to players across the world, US and the usual suspects excluded. 10Bet Casino is a good choice for every player. 10Bet Casino is among the better NetEnt casinos, regulated by three licences, and leaning on well-known 10Bet sportsbook. 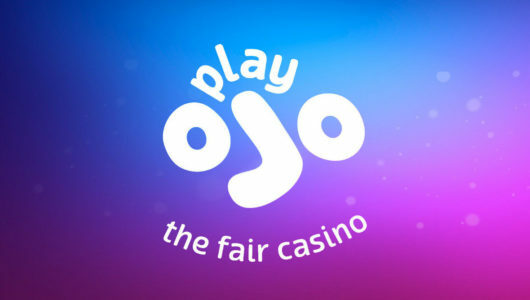 This casino is a reliable choice for any European or UK customer, and they also accept Canada and many more countries. Make your first deposit at 10Bet Casino with code FIRST300 and an extra 125% up to €300 Bonus will be waiting for you! Another 125% up to €300 bonus is on standby for your second deposit with code SECOND300. Boost your third deposit with yet another 125% up to €300 bonus when you deposit with code THIRD300! After 30 days, get up to €110 Cashback Bonus! There are also weekly 50% bonuses up to €100, worth €400 every month, and up to €100 mobile cashback bonus. Mobile customers also get 10 to 30 weekly free spins on Motörhead slot depending on how much they deposit in that week. 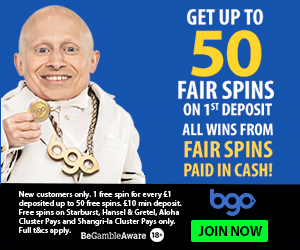 Visit 10Bet to see their full exciting range of bonuses and you might as well sign up right away, as you inevitably will sooner or later anyway. Excellent welcome package just waiting for you to take it and start playing your favorite NetEnt slots, table games, or live casino. The bonus is pretty much a slots-only bonus although scratch cards, arcades and keno contribute 100% to rollover as well. Roulette and Sic Bo contribute 20%, and Blackjack contributes 10%. Baccarat and Craps are off limits, with a 0% contribution. Rollover is 35x within a 15 day time frame. None listed, though 10Bet Casino will take care of the VIP players that do deposit a lot and wager a lot. As is common with casinos that rise from UK-licenced bookmakers, 10Bet Casino is an aggregator of software providers. The Casino has slots from NetEnt, Playsoft, Ainsworth and Quickspin plus Evolution Gaming. For all practical purposes, 10Bet Casino can be considered a NetEnt casino with Evolution Gaming providing the live casino software. They used to have other software providers as well but this is the present situation as reviewed in December 2016. 10Bet Casino still have a sensational selection of the very best titles, and this casino is a welcome break for players tired of playing always the same old games, and will be particularly suitable for a NetEnt lover or those who are about to become one because of titles such as Gonzo’s Quest, Starburst, Jack Hammer, South Park and Steam Tower – all of which are available at 10Bet Casino. There are also some exciting titles such as Paranormal Activity and Basic Instinct. 10Bet Casino has three licences: Malta, Curacao and UK. Can’t get any better than that. This casino is as secure as it can be. Players report that 10Bet Casino can at times be a bit dodgy when it comes to paying out on free spins or no-deposit bonuses, but most players don’t have an issue. 10Bet Casino is among the more reliable online casinos. It’s always good for a casino to actually be leaning on another core business, which in 10Bet’s case is their sportsbook that provides financial stability for the entire brand. The standard bunch, countries where online gambling is not permitted. Belgium, Bulgaria, France, Gibraltar, Hungary, Isle of Man, Israel, Spain, Turkey, United States. The fact that 10Bet Casino are blacklisting customers from these countries prove this casino means business and wants to do things the legit way. 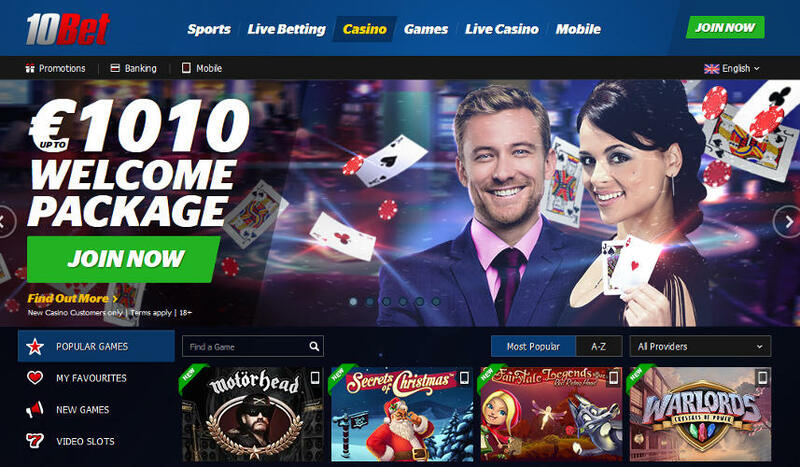 Reliable casino with a decent range of games, mostly by NetEnt, and there’s just enough good things at 10Bet Casino to drag you through the door. If nothing else, the welcome package is something that can’t be missed and it’s a reason why you’ll sign up with 10Bet and start playing.